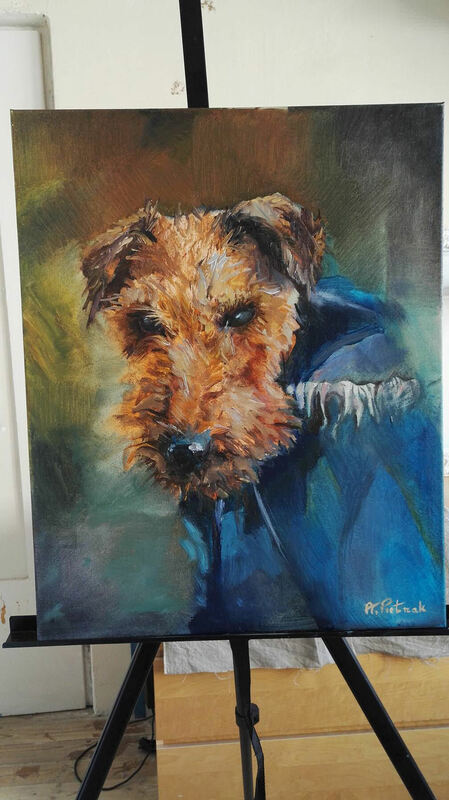 Portraits of your beloved Four-Legged Friend done on commission from your favourite photograph. 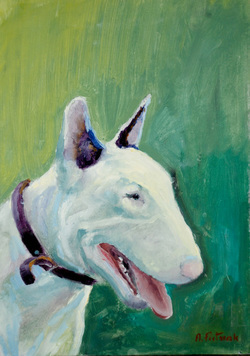 A custom dog portrait Bull Terrier. 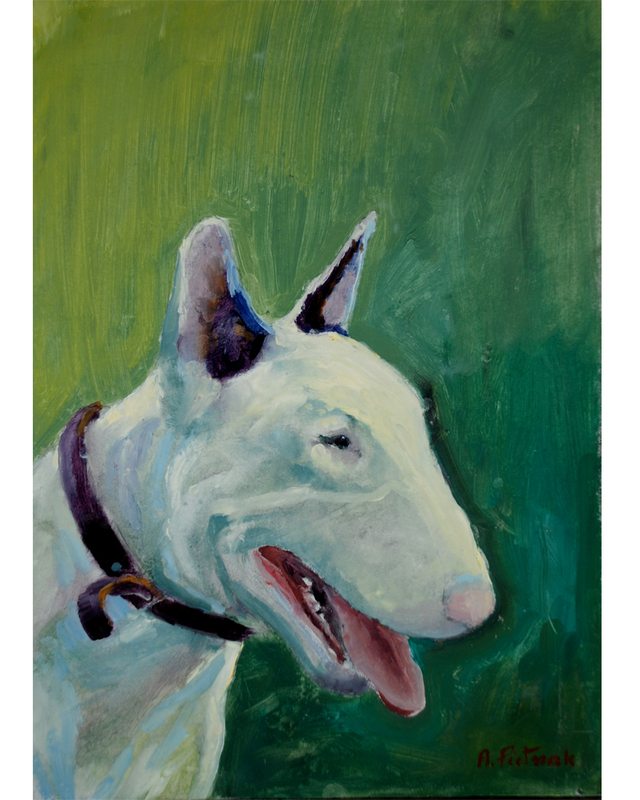 Original Painting. 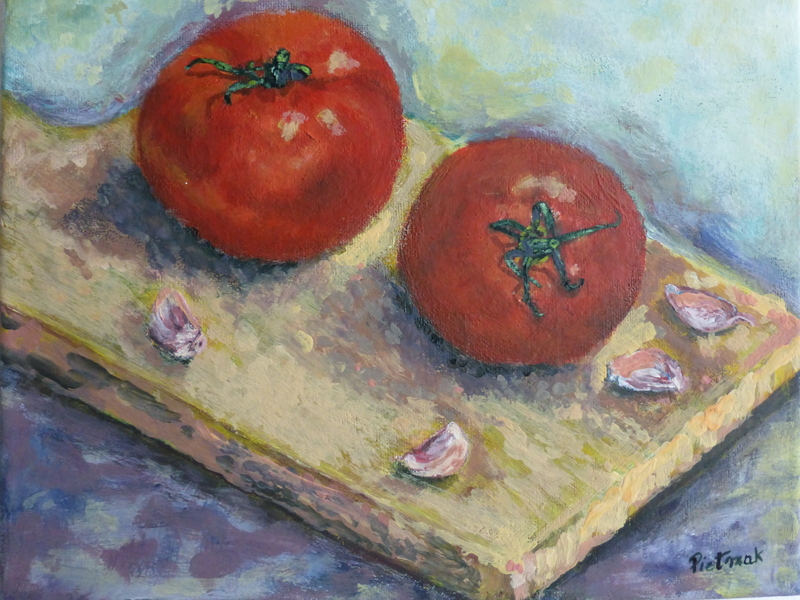 Oil On Cardboard. 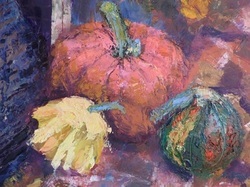 A signature of artist is on the bottom right. 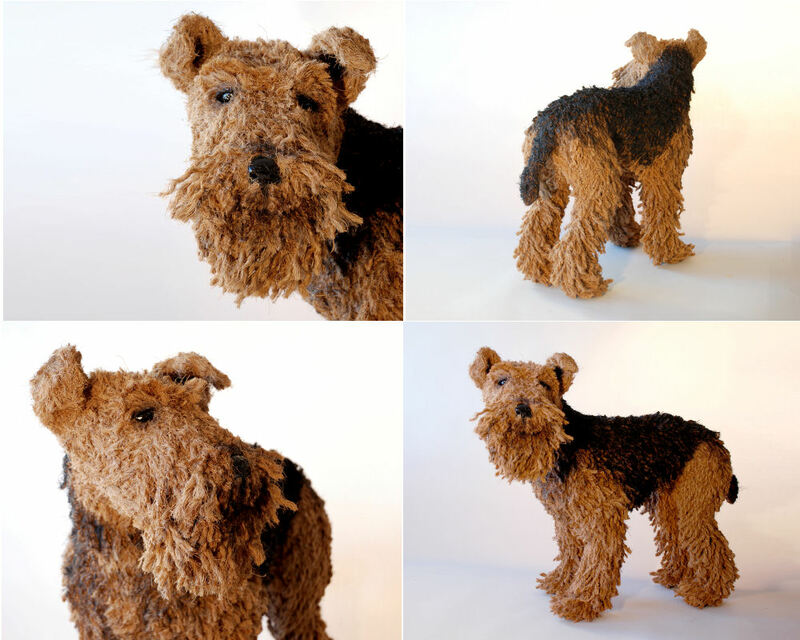 Sculpture of a dog - in type of the Welsh Terrier and the Airedale Terrier. Each of sculptures is unique in their kind. 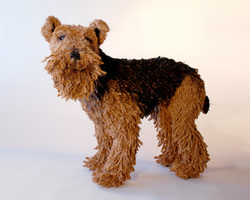 Dog sculpture is made from a wire, paper Mache and the Coir twine. When I create my sculptures I would like to give them personality and individuality.